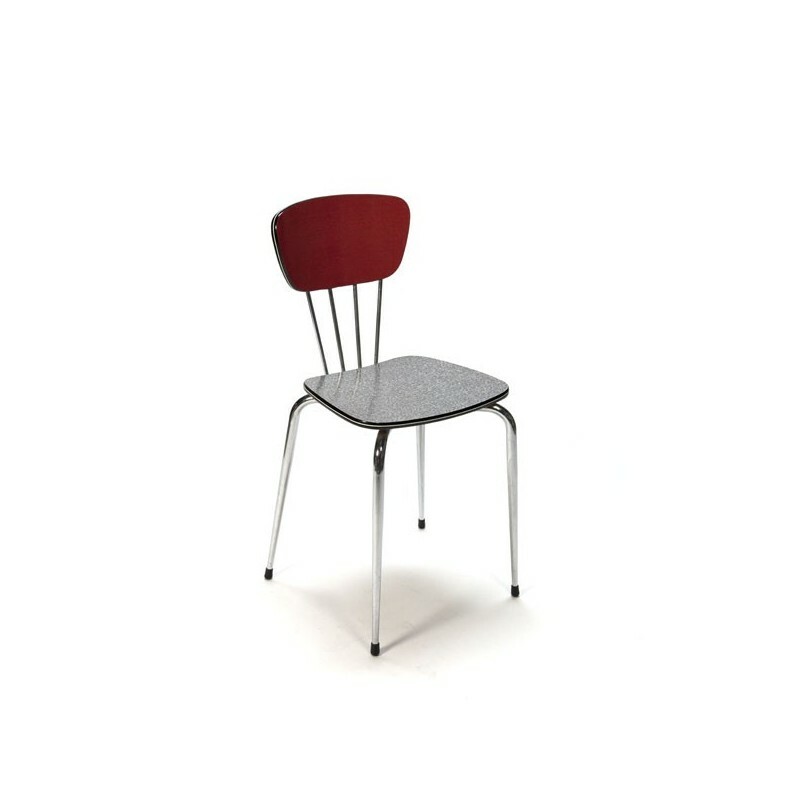 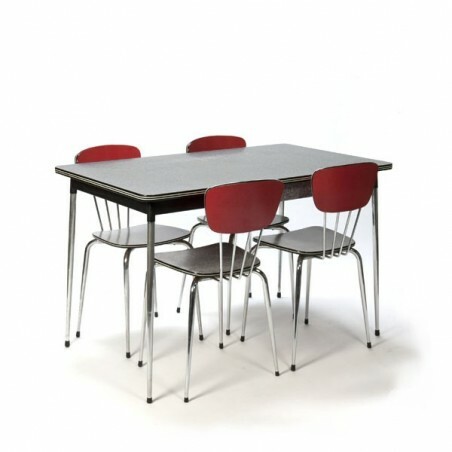 Vintage dining set consisting of a table and four slender chairs performed in Formica from the late fifties and early sixties. 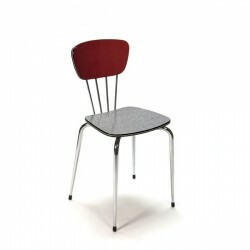 The chairs are made of two colors fromica, pink / red with gray. 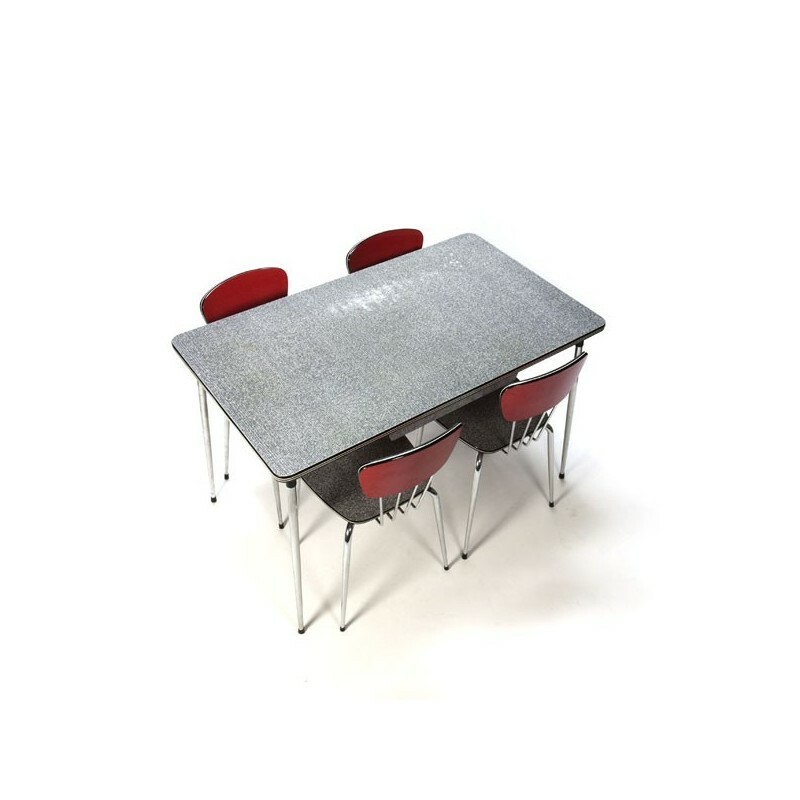 The table is gray formica that has a worn spot on the sheet. 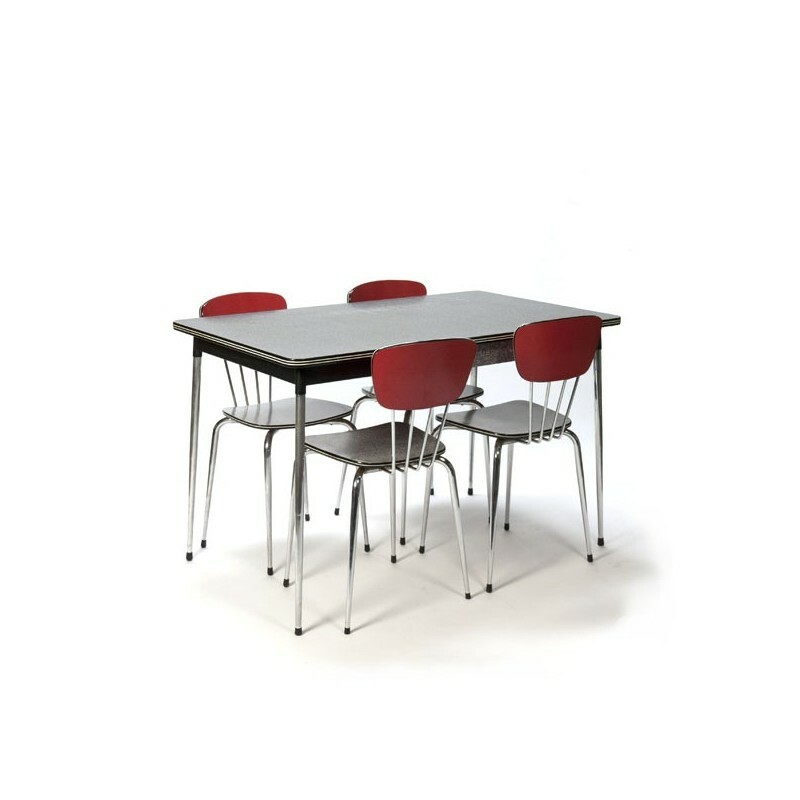 The dimension of the table is 120 cm L / 70.5 cm W/ 76 cm H, the seats are 47 cm SH / H 79 cm / 37 cm W.